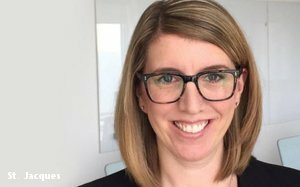 MillerCoors has tapped Michelle St. Jacques as its new chief marketing officer, starting February 4. St. Jacques, the first woman to hold the CMO role at the nation’s second-largest brewer, was most recently senior vice president and global head of brands and capabilities for Kraft Heinz. St. Jacques succeeds David Kroll, who left MillerCoors last July, after joining the company as vice president innovation in 2012 and becoming CMO in 2015. At Kraft Heinz, St. Jacques was credited with driving multiyear growth by increasing market share for the 150-year-old Heinz brand, and spearheading effective brand-building efforts and campaigns for legacy brands including Kraft Mac & Cheese and Jell-O. Her work included Heinz’s “Weiner Stampede” 2016 Super Bowl ad and Kraft Mac & Cheese’s “Swear Like a Mother” campaign. Her background also includes Unilever, where her roles included leading global efforts for Dove Body Care and the skin and deodorants portfolio in Canada. St. Jacques arrives at a crucial juncture for MillerCoors, which has publicly announced that it will significantly ramp up its marketing investment this year, shifting emphasis from TV and traditional media to streaming platforms, digital and social media, long-form content and experiences to broaden its reach. Revitalizing sales of its largest brand, Coors Light, is 2019’s top priority. While it has held onto its ranking as the nation’s second largest-selling beer, Coors Light has lost share, as its dollar sales declined by 5.5% last year through Dec. 1, according to the MillerCoors blog. In December, the company and agency 72andSunny launched an aggressive new campaign for Coors Light. The campaign departs from recent years’ ads set in the mountains, to show the beer being enjoyed in real settings like bars and tailgating parties — and renews the brand’s focus on its “cold-activated” and “World’s Most Refreshing Beer” claims. The company has also stated that it will be investing heavily in Miller Lite (which has gained share within the premium lights segment for 16 consecutive quarters, according to MillerCoors), and will double its media spending for the Blue Moon brand. Other premium brands set to receive increased marketing investment include Henry’s Hard Sparkling, Peroni and Cape Line.